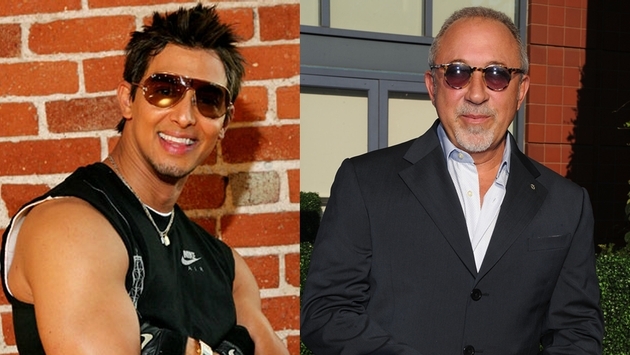 Today, Baha Mar, the grand and greatly anticipated luxury resort located in Nassau, The Bahamas, announces an exciting partnership with two of the leading names in the world of music and entertainment — Jamie King and Emilio Estefan — who will be teaming up for the first time to develop, produce, choreograph and score the resort's Grand Opening Gala alongside executive producer Bernie Yuman. 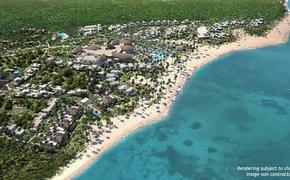 Slated for late Spring 2015, the Baha Mar Grand Opening Gala will be a grand experience of sophisticated luxury and leisure spanning multiple days and encompassing every corner of the 1,000-acre property, set alongside 3,000 feet of uninterrupted white-sand beach and crystal-clear waters. "We're thrilled to be collaborating with award-winning visionaries such as Jamie and Emilio, who both have successful track records and are extremely well-respected in the entertainment industry," said Sarkis D. Izmirlian, chairman and chief executive officer of Baha Mar Resorts, Ltd. "I'm sure that their creative forces will combine to provide our guests with an unforgettable event that is nothing short of amazing and truly combines the glamour of the New Riviera with the soul of The Bahamas." Emmy Award and MTV Video Music Award nominee Jamie King, writer and director of the critically acclaimed Cirque du Soleil Michael Jackson The Immortal World Tour, and director of the newly launched Cirque du Soleil Michael Jackson One at Mandalay Bay (Las Vegas), is the leading concert tour director in the world of pop music today. Also an acclaimed choreographer, King has served for more than 16 years as Madonna's creative director and has worked with an array of superstars including Rihanna, Britney Spears, Mariah Carey, Celine Dion, Jennifer Lopez, the Spice Girls, George Michael, Elton John, Diana Ross, Ellen DeGeneres, and most recently, as creative director of Bruno Mars' record-breaking Super Bowl halftime show. In 2013, Variety honored King with a 12-page Billion Dollar Tour Director special issue, having previously named him as one of the most influential "movers and shakers" in the music industry. In 2013, King starred alongside Jennifer Lopez and Marc Anthony in the Fox Network show Q'Viva - The Chosen, the Latin-theme reality series from Simon Fuller's XIX Entertainment. Emilio Estefan is a 19-time Grammy Award-winning musician, producer, director, author and entrepreneur, who for more than a quarter of a century worked with some of the biggest and brightest stars in the music business: from his wife, Gloria Estefan, to Jennifer Lopez and Shakira, to Ricky Martin, Marc Anthony and Jon Secada. Furthermore, through Estefan Enterprises, he has built an entertainment empire that has seen extraordinary successes in the music, hospitality, television and film industries, including having produced for large-scale events such as Super Bowl halftime shows and closing ceremonies for the winter and summer Olympic Games. "What intrigues me most about Baha Mar is the idea of melding world-class hospitality and authentic Bahamian culture," said King. "The Bahamas is full of natural beauty, exotic sights and sounds, and an abounding culture of joy and positivity. I think I can speak for both Emilio and myself when I say that this collaboration is a great opportunity, an exciting challenge, and a project that certainly doesn't lack in sources of inspiration. We can't wait to see it all come to life!" "I'm honored to work alongside Jamie, Sarkis, Bernie and the executive team at Baha Mar as we bring a new light to The Bahamas," said Estefan. "Get ready for a party like no one has ever seen before." Poised to be the must-visit destination of our generation - the New Riviera - Baha Mar will merge an elite collection of global hospitality brands that include Rosewood, SLS LUX, Grand Hyatt and a dazzling newcomer, The Baha Mar Casino & Hotel. In addition, Baha Mar will be home to a wide variety of luxury amenities, such as a Jack Nicklaus Signature golf course, ESPA spa, upscale designer retail shops, and more than 40 restaurants and lounges. Baha Mar will also offer curated experiences that capture the true spirit of the region, including a convention center with the largest collection of Bahamian art in the country, pools inspired by Bahamian blue holes, and a beachfront sanctuary with native flora and fauna. More exciting announcements regarding the Baha Mar Grand Opening Gala will be forthcoming.